Ana Velitchkova joined the Croft Institute in the fall of 2016 as Croft Assistant Professor of Sociology and International Studies. 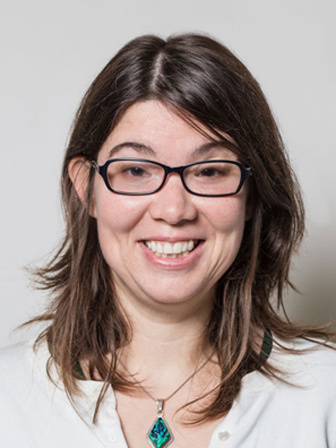 She is an honorary Research Associate with the Centre for Social Conflict and Cohesion Studies in Santiago, Chile, where previously she held a Postdoctoral Fellowship. Velitchkova received her Ph.D. in sociology and peace studies (with a gender studies minor) at the University of Notre Dame in 2014. Her work deals with cultural stratification (ethnic, national, regional, religious, ideological, gender, etc.) as a challenge to global society. Her research projects have addressed the factors that lead to participation in political violence and the conditions that underlie distinct notions of civility. Velitchkova is a comparative sociologist with a primary focus on Eastern Europe. She has conducted research on Sub-Saharan Africa and throughout the Americas as well. Her interests include collective behavior and social movements, comparative and historical sociology, culture, gender, globalization and transnationalism, language, peace, war/violence and social conflict, political sociology, and theory. She also holds a M.A. in sociology from the University of Notre Dame, a M.A. in foreign languages and literatures from Southern Illinois University Carbondale, and a B.A. in French from the University of Sofia.